A soil test is designed to evaluate the soil's capacity to accept a septic system. The test consists of a "soil evaluation" and a "site evaluation". The test must be performed by a Certified Soil Tester (CST) licensed by the state of Wisconsin. 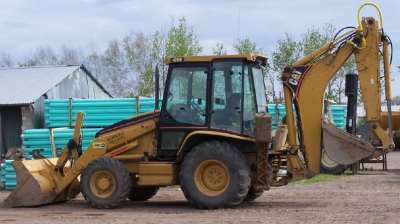 The CST will use a backhoe to dig a hole and inspect the kinds of soil at your site and the depth requirements for a drainfield. The number of borings is dependant upon the type of soil found at the site. During the planning process is the best time to consult with our CST to discuss options for the location of your septic system and where to perform the soil evaluation. There is no charge for a site evaluation. Once the soil test is complete, our CST will report the results to the state of Wisconsin. Whether you need to replace an existing tank or system, or are installing a new septic system for a home or business, we can help you through the process. 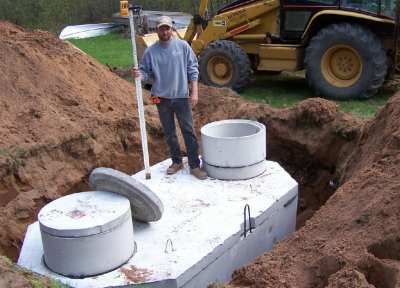 We have licensed master plumbers that can install conventional or mound systems. A septic system is a natural method of treatment and disposal of household wastes for those not part of a municipal system. The septic system works by allowing waste water to separate into layers and begin the process of decomposition while being contained within a septic tank. 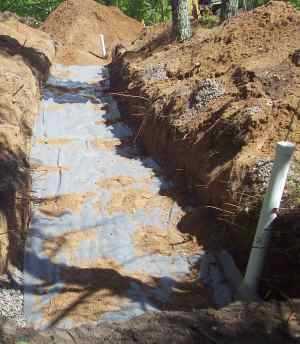 The sewage must then be distributed to a drainfield where the remaining fluid will evaporate or drain into the ground. 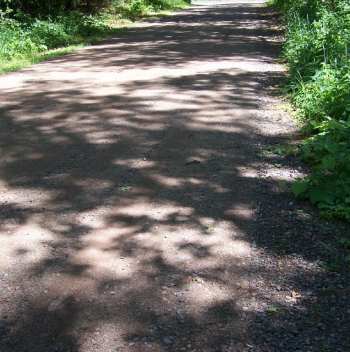 Most drainfields are conventional, meaning that they use gravity. Sometimes a mound system is needed when site conditions are not appropriate. Reduce household water use: use water saving shower heads and washers, repair leaking toilets and facets, don't run water while brushing teeth or washing hands. Be alert and institute other water saving ideas. Watch what goes down the drain: avoid putting any grease or oil in the disposal or drain as these clog pipes and drain field soil and damage your system. Minimize the discharge of paper products: Non-degradable items such as disposable diapers, Kleenex, sanitary napkins, and paper towels are especially harmful. Ensure that only three products go into the septic tank: 1) human waste, 2) toilet paper, and 3) water from the toilets, bathing fixtures, kitchen sinks and washers. Have your system pumped every 2-3 years. Protect your system by avoiding the planting of trees or shrubs near the lines or drain field as roots can damage the pipes. Do not construct walkways, patios, parking areas over or near the drainfield or pipes. During the winter months you can provide frost protection by adding straw or leaves above the tank and lines, or install insulation. To help prevent freezing, do not walk or drive over the tank or lines if not properly protected. 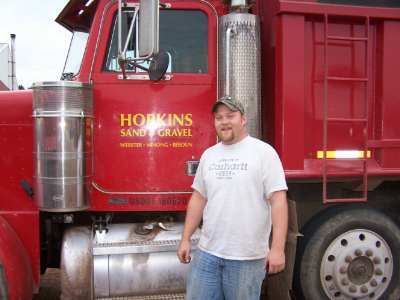 With our fleet of dump trucks and experienced drivers you can count on our superior service every time. 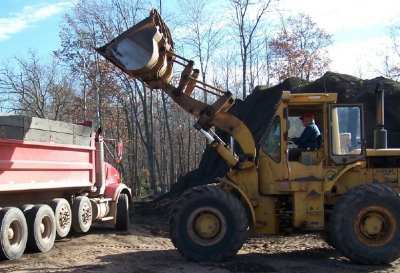 Delivery quantities of 3 cubic yards up to 16 cubic yards per load. We can calculate the amount of material needed, or you may go to our on-line calculator for assistance. Our team travels to your site to produce high quality custom product. We have a 32 meter pump truck available for when you need "a little extra reach." Schedule your pump truck and concrete delivery with just one call. 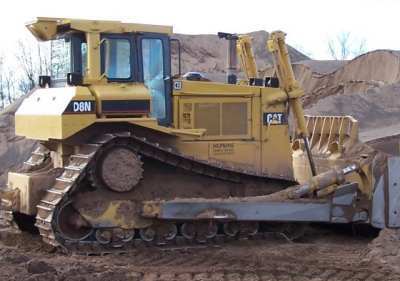 Whatever your excavation or grading needs, we have the expertise to complete your project on time and on budget. Call for your free on-site consultation. Other - weather conditions, compaction and ongoing maintenance of your driveway. With the latest methods and technology in excavation we can help you plan, design and construct your backyard pond. Contact us for a free consultation.